Kleen Bore PocKit .357/.38/9MM Caliber Handgun Portable Cleaning Kit, shrinks your workbench to one pocket sized tool. 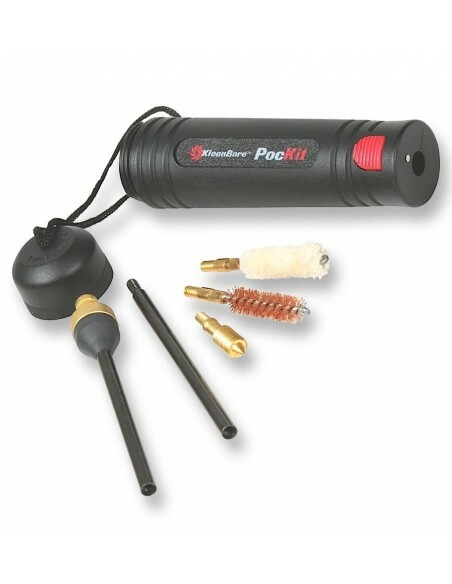 A phosphor brush, two-segment cleaning rod, cleaning jag, and a mop all fit inside the hollow storage handle of this cleaning kit, which is small enough to go anywhere your handgun goes. 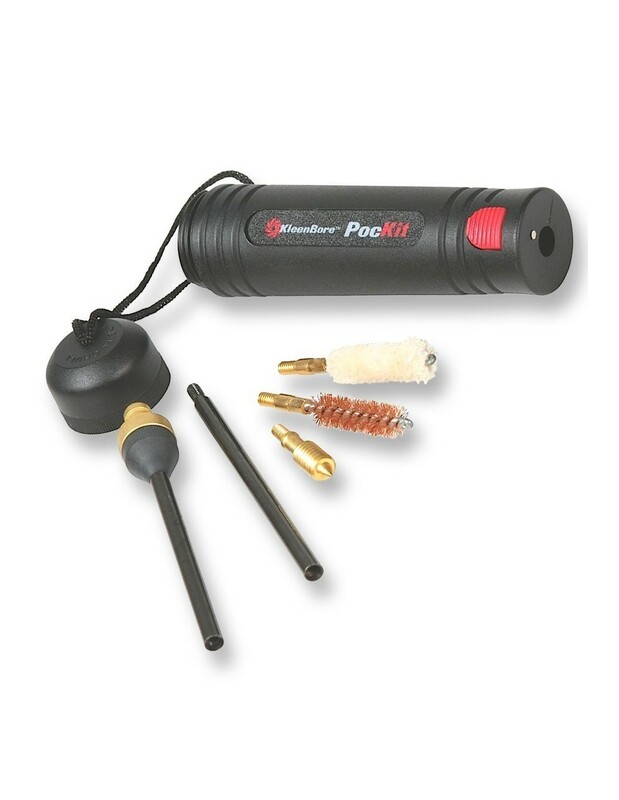 An 8-36 thread on the cleaning rod allows you to add accessories to this tiny Kleen Bore cleaning kit. The first rod section with muzzle guard cleans up to 12.7 mm( 5 inch) barrels including most semi-automatics. A second rod section extends the length up to 213 mm (8 3/8 inch). 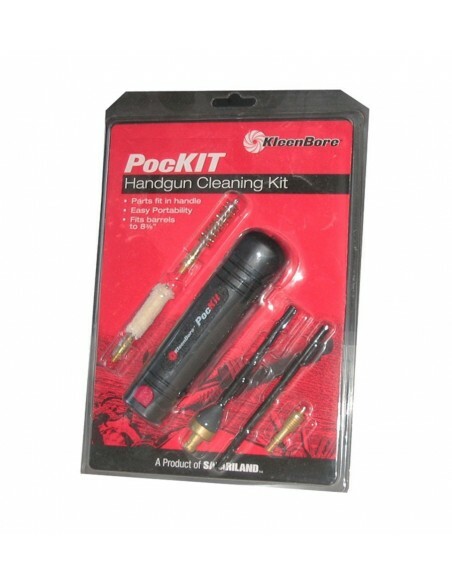 Designed specifically for.357/.38/9MM caliber handguns, the Kleen Bore PocKit Handgun Cleaning Kit lets you maintain your pistol virtually anywhere. 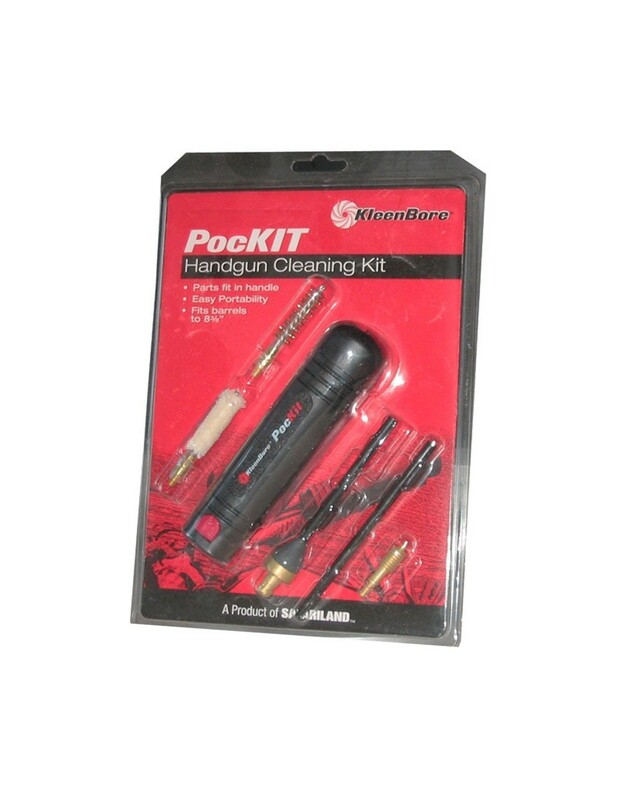 Wherever you use your handgun, take the Kleen Bore .357/.38/9MM Caliber Pistol Cleaning Kit along to ensure your handgun stays in optimal working order.